Free Candle Spells | Increase Your Candle Spell Success Rate with Faith! Free Candle Spells | Increase Your Candle Burning Success with Faith! 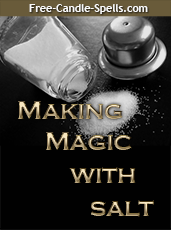 The most important element that determine your candle spell burning success rate is your….FAITH. Let’s examine exactly what a candle burning service is to understand the statement above. In the Old Testament, lamps filled with Olive Oil, considered the most high Holy Oil, were kept lit in the Temple as a symbol of Hope and Adoration. As mankind moved through the centuries, first tallow then paraffin wax candles replaced the oil lamps in the sacred places such as churches and the family home altars or chapels. There was a ritual to follow in accordance to each belief system on how to take care of sacred objects and places, then the ritual of prayers, gestures and ceremony involving the actual lighting of the candle and the subsequent following of the lighting of the candle with prayer and supplication. The purpose of a candle burning ritual, whether for positive or negative reasons, is a constant application of energy though the fire emitting from the wick, to boost the prayer intensity for you while you are in front of or when you have left the candle burning area. 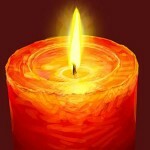 It is like a beacon to guide the heavenly powers to look upon the candle and the petition placed underneath it with favor, however, your personal feelings, determination and intensity of prayer towards the Good of the situation for your benefit is the largest component for candle spell burning success. For example, if you are in a situation where you and a lover or mate have had words or have broken up and you wish to mend the hurt and reconcile, the way you feel towards that person at the moment you light the wick will give you a good example of the success of your outcome. If you feel resentment or indignity over the fight or break up, or feel that the actions taken were their fault, then you will meet with resistance to your candle burning success. It would be best that you take some time in meditation or prayer to clear your mind and ask for healing to come to your heart before lighting a Return to Me or Come to Me Candle so that you will have a far better candle spell experience. So, what if your candle spell does not bring you what you want? This happens, and anyone who tells you that their candle spell is 100% accurate or guaranteed to work is not telling the Truth. Candle spells DO fail, when the Higher Powers determine that the person you are desiring is not the best match for you or the amount of money requested is not going to be used in the manner in which it was prayed for. This is because either down the road the person will act in the same manner towards you or you will spend the money on things that you WANT, instead of what you NEED, which is a big difference between the two. Remember, you are asking God, the Angels and the Saints, the Orichas or any other Deity that you venerate to interceed on your behalf for your petition, to make it come true. If they want you to have it, it will come.